The fight progressed fairly evenly-matched from the start. Jongangdam started to throw more combinations and clinched with Phetnamneung, pushing him back as Phetnamneung continued to throw his vicious leg kicks. Jongangdum scored a terrifying knockout victory over Phetnamneung Sitjomyuth on the fourth round. Jongangdam represents a new generation of young Thai fighters who are making a name for themselves. The highlights for that fight can be seen in the video below. Phetsila came from humble beginnings like most Thai fighters. Conditioning yourself to compete in a Muay Thai fight is one of the hardest things a person can put themselves through. They need to be extremely athletic to develop athletic qualities – agility, speed, power, strength, coordination, balance, timing, and visual acuity. Through the dedication of training, Phetsila put up an impressive performance to last the five rounds. 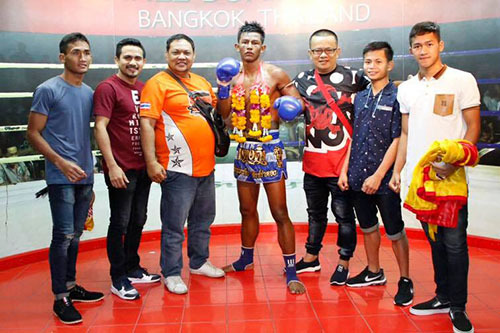 Phetsila Sitnumnoi matched to a young Thai fighter Phetmalai Phetjaroenvit in Lumpinee Stadium. 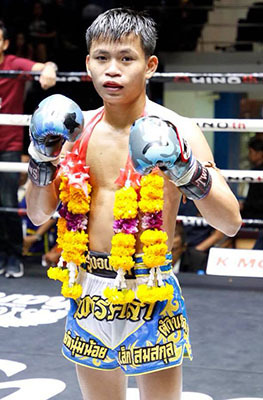 Phetsila Sitnumnoi won by points against Phetmalai Phetjaroenvit.